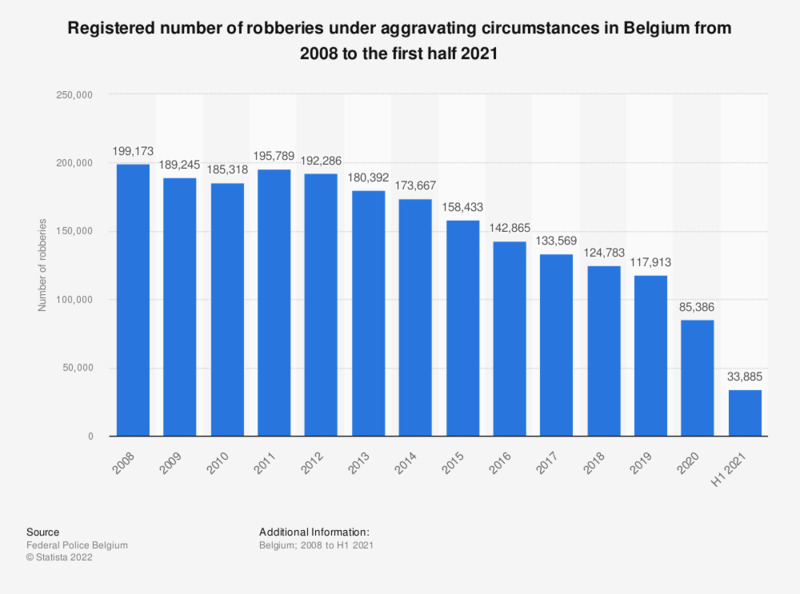 This statistic shows the number of robberies under aggravating circumstances in Belgium from 2007 to 2017. In 2014, approximately 174,000 robberies under aggravating circumstances were registered in Belgium. By 2017, this had decreased to roughly 132,000.